Like last week’s Single of the Week, Ideal World by The Christians, this week’s choice is by a band that had already been in existence for about five years before they even got noticed. Where the Christians had 13 hits, this band only had two. Obviously a popular name for a group as three different acts with the same name have existed over three decades. 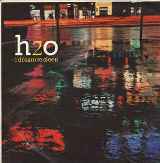 They are called h2o and let’s examine their debut hit, I Dream to Sleep. In 1980 they added a keyboard player called Ross Alcock and a saxophone player called Colin Gavigan who was a former child actor. Around the same time, Alan McGee quit the band to move onto greater things, including forming the Creation record label and was involved in either managing or signing bands like The Jesus and Mary Chain, Primal Scream and Oasis among others and he was replaced by Colin Ferguson. The following year a couple of new guitarists arrived and they released their first single, Hollywood Dream, on the small independent Spock label. They got their break in early 1983 when they supported Kajagoogoo and on the back of that signed a record deal with RCA and began recording what was to be their first single, Burn to Win. The second song they recorded was Dream to Sleep or, as the record sleeve shows, I Dream to Sleep. The record company thought Dream To Sleep was the stronger song and opted to put it out as the A side with Burn To Win on the flip. Ian and Ross continued to write and promote new songs and occasionally brought in various past members of the band to lend a hand. In 1987 they signed with a new label called Legend records and a single, Blue Diamond, received some national radio airplay, but missed the top 75 completely.